Hi! Is this thing on? 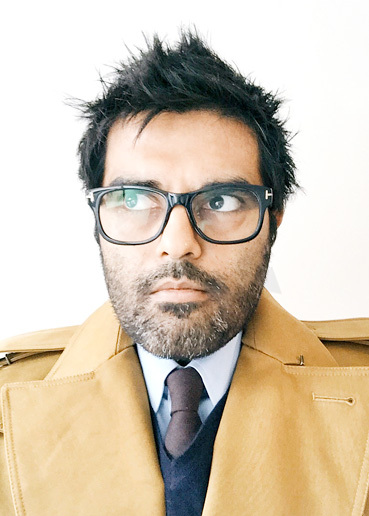 Faisal Sultan is a multi-disciplinary creator & product manager. Faisal has a unique ability to solve complex problems with a keen sense of empathy towards the end-user by creating beautiful, workable and functional solutions. His artistic skills, coupled with his deep technical background and strategic vision make him an asset to any team. Faisal started his career at the height of the dot-com boom of the late 90s in Silicon Valley as a software developer at Spinner.com, the world's first online radio service (acquired by AOL). There, he rose quickly thru the ranks, and as Technical Lead he lead successful launches of AOL Radio in the US, Canada, UK, France and Germany, serving millions of users around the world. After moving to Product Managment, he launched AOL Radio for iPhone; which was introduced during Apple's keynote address as part of the iTunes App store launch (2008). AOL Radio for iPhone eventually won Apple's coveted Design Award. As Product Director of SHOUTcast, an end-to-end streaming media broadcasting ecosystem, he lead strategy, product, business development and technical teams in reviving an aging brand; turning it from net-loss year-over-year to profitable in under 2 years. Faisal is the founder of FRISKY, the world's leading streaming service for underground electronic music. With FRISKY, Faisal is helping musicans and artists around the world showcase their work to a global audience. Faisal has worked with Fortune 500 companies and non-profits alike and is equally comfortable in large or small startup environments. In his spare time Faisal pursues his artistic endevors like photography and design. He is an avid cycling, cooking and coffee fanatic and even holds a private pilot license. In addition to his mentoring and advising work, Faisal has been invited to various conference panels where he is happy to share in vast experience in music tech and product management, startups, photography, electronic music and culture, among other things. Faisal is available for contract or freelance work large or small, or general chit chat over espresso, so get in touch!